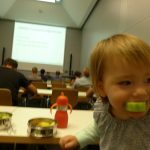 We turned this year’s Eurobike show into a little family roadtrip for dad and daugther: As Jess was not feeling fit, Anouk and I took the train to Lindau. Grandpa’s place was our homebase for two days of bikeshow and some beautiful rides. 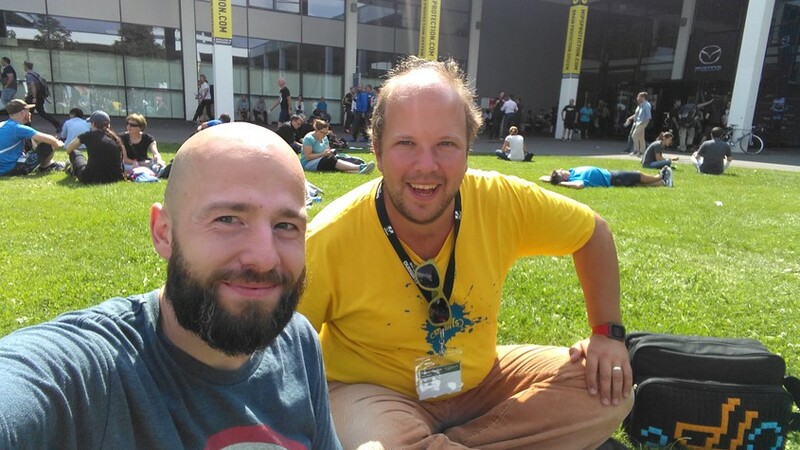 On Thursday and Friday we rode from Lindau along the lake of constance to the Eurobike show. 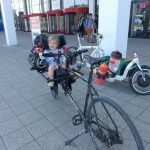 It was a beautiful time, smelling the air of dad’s childhood and taking the new bikeseat-situation on the Omnium on a first test trip with accumulated 100km. But the trip not only was a little Family Adventure. We were happy to meet with some members of the german-speaking CargoFam. 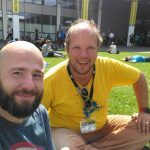 On our first day we met with Jan Steinberg, the CargoDad behind bakfietsblog.de. 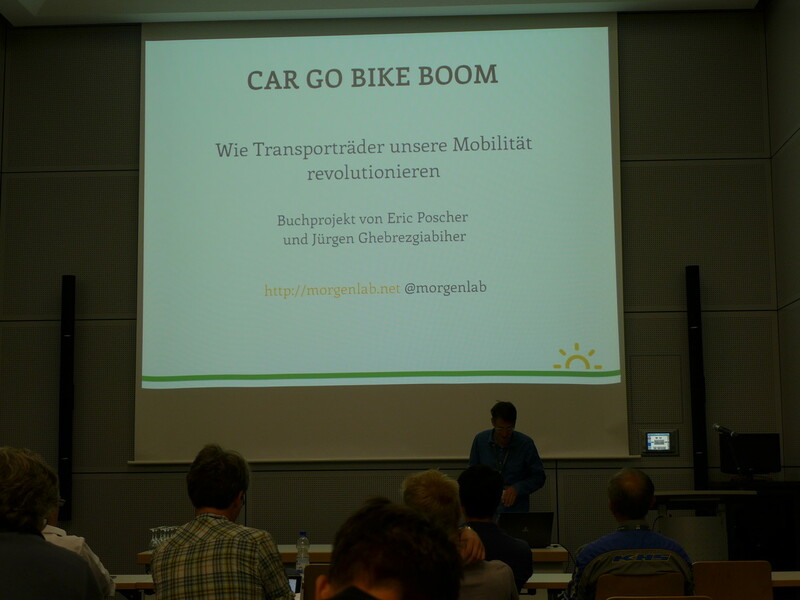 On our second day we rode from the Austrian border where we picked up Eric Poscher, who is writing the Book Cargo bike Boom. 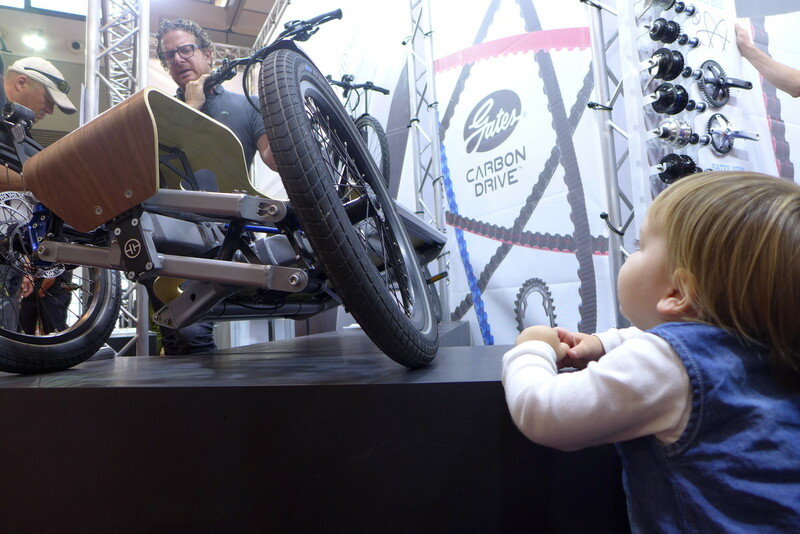 We escorted him to the show where he had a talk about how cargo bikes where invented, forgotten, rediscovered and now change mobility. …until we got to hungry. There was also time for celebration: The big ExtraEnergy ExtraEnergy cargo pedelec test was presented and the winners announced. 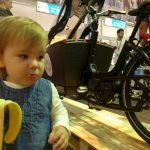 A bright moment for Urban-Arrow: the “Family” ranked best Bike in it’s class. Anouk celebrated with a nice yellow banana and I had a coke. Next to that, I checked out the 2017 models of the Shorty and the Family, both of wich are very promising. 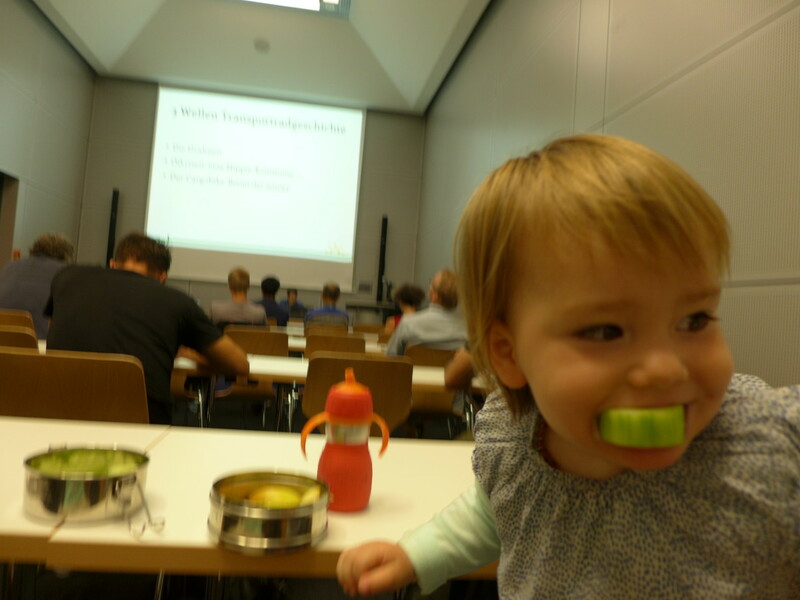 Anouk had some nice banana. … I mean seriously sceptical. 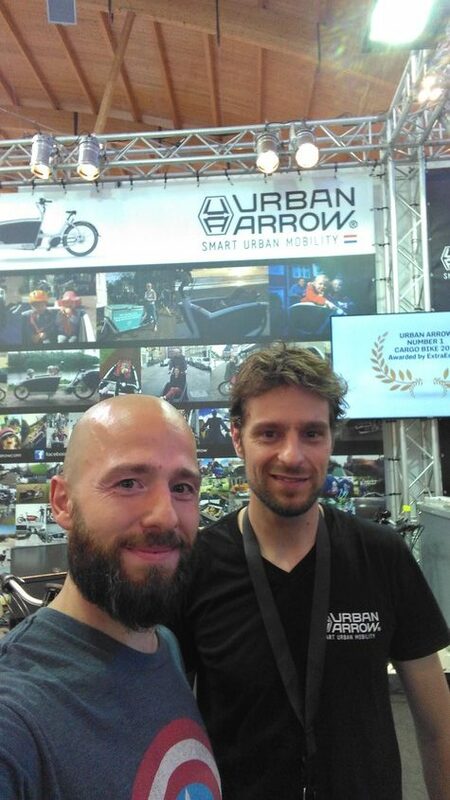 The Urban Arrow “Family” was improved in practical and comfortable details. 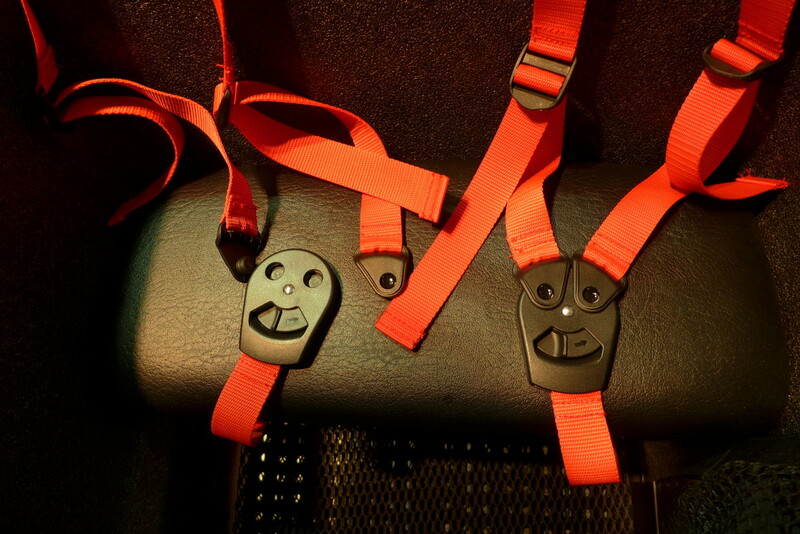 The seatbelts are now mounted on three points each, instead of two. This makes them more comfy around your kids’ necks. 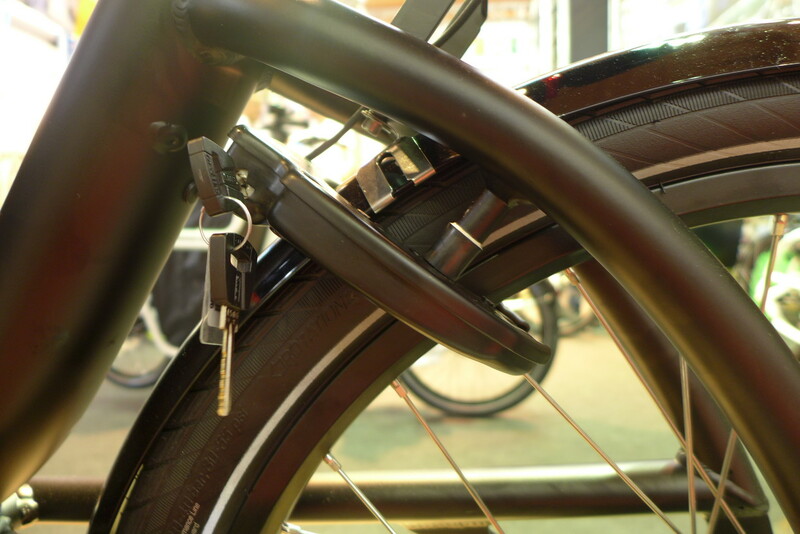 Magnetic locks took the place of the simple buckles and offer more durability and safety. 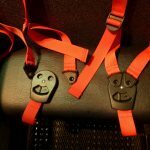 I am very happy, that the seatbelts got this much attention and these details were improved: our buckles, for example are already broken and the belts are mangled, tangled and worn out. Obviously there was something to be done. Another little improvement is the flexible mounting of the framelock. 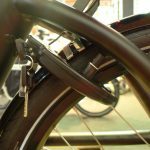 The risk of broken spokes is now lower, as this new mounting allows the bike to be moved off the kickstand without bending spokes. 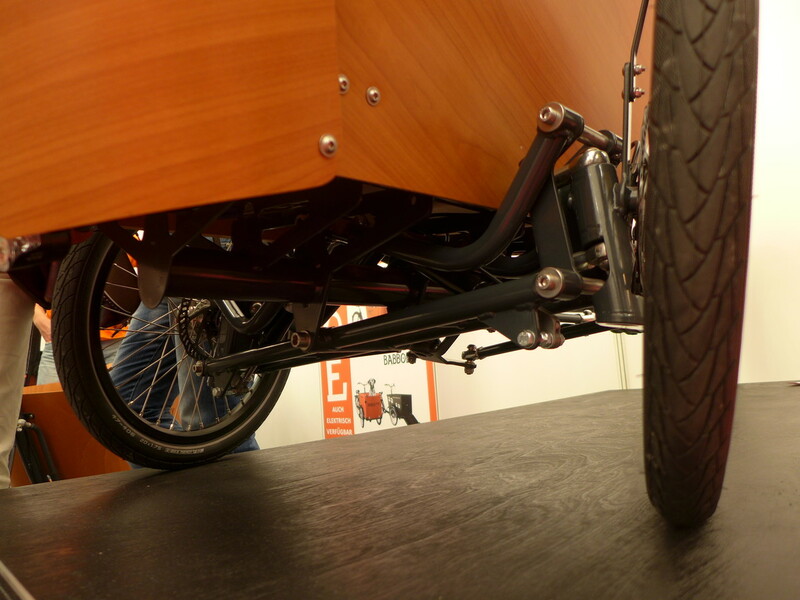 …and the Disc-brake Version gets more power. 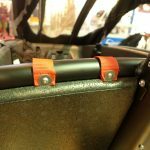 It is nice to see, that UA, making the bike even better by focusing on those little things. 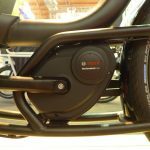 They also made a clear safety-&-performance-statement: the Roller-Brake version will be powered by a Bosch Active Line Engine, while the disc-brake version will come with the stronger Performance Line (CX?). 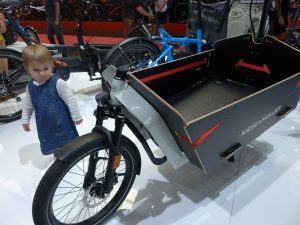 Also the UA “Shorty” got my attention this year: It finally seems grown up and the sneak test ride surprised me with a bike that is super agile and still can carry 100kg+. …and has details I’d like to see on the family. Another surprise awaited me at the booth of Babboe. 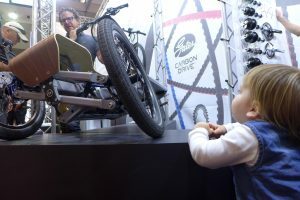 They are currently trying to bring the tilting tricycle to the price-concious audience: 2017 the “Carve” will be introduced and should sell for 4.700€. 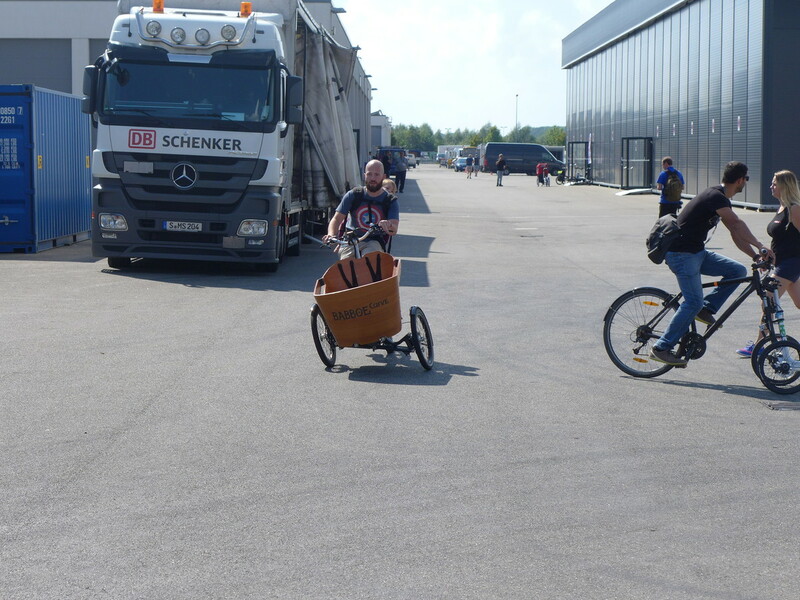 The demobike I rode was equipped with a Yamaha middle engine and weighed in at 70kg. 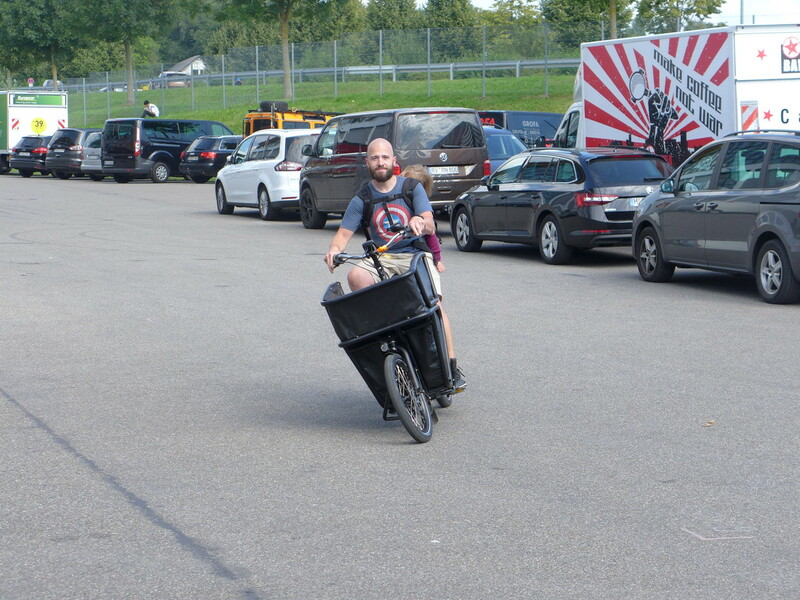 As the babboe guys were keeping it safe, I was not allowed to put Anouk into the box – so I put her on the back for a testride. 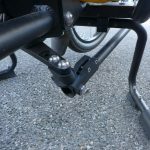 I got off the bike and was not too impressed of the dynamic of the tilting mechanism: You had to actively push the bike into the corners, against centrifugal force and the springs pushing it into upright position. But hey: I rode with now weight in the box and 2017 is still in the future. We will see what is finally hitting the market – I will definitely watch this one and get my hands on it, as soon as it is in the stores. When it comes to tilting triycles the Heisenberg CD1 was more impressing. 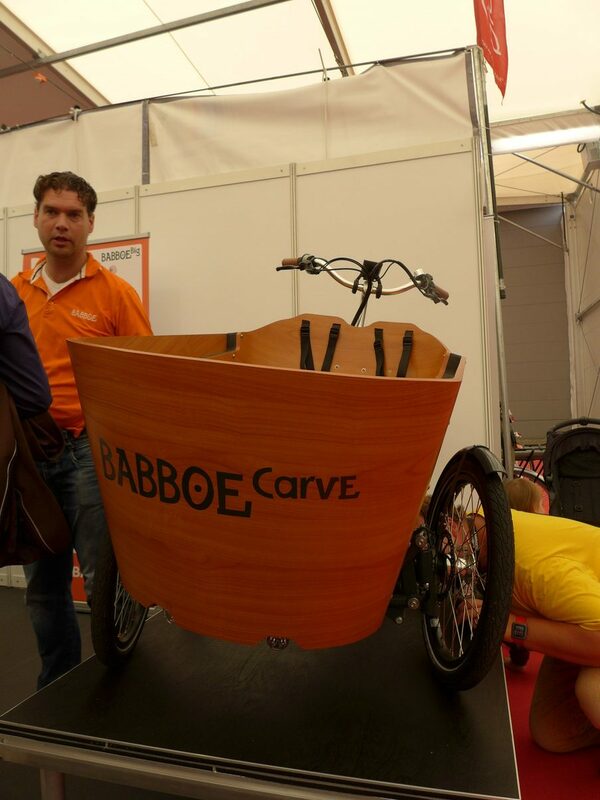 A nice piece of engineering, looking a little bit like an UrbanArrow prototype of last year. 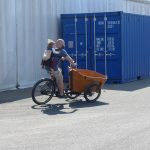 With 40kg it weighs 12kg less than a Butchers and Bicycles -but ok: it comes only with a wooden deck on the cargo platform. 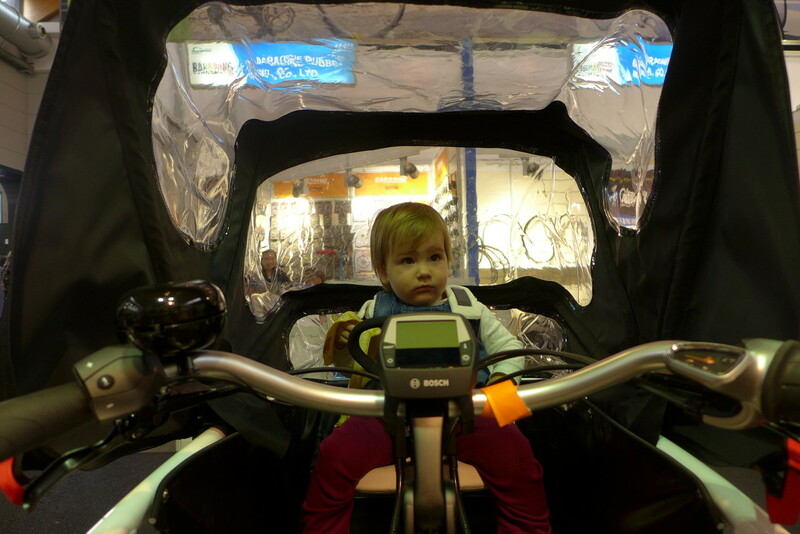 There are two more bikes which we will testride for you as soon as they are here in Augsburg (propably not too long to wait for them, as both companies have competent dealers in town). 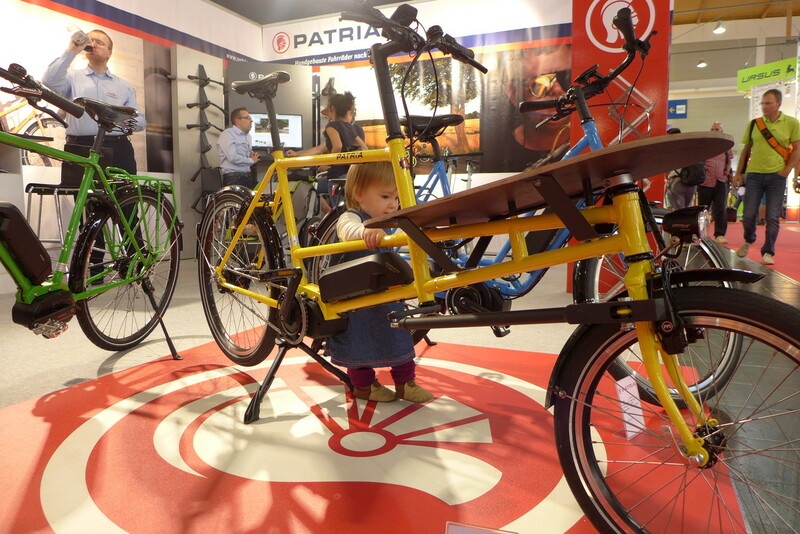 One is the Patria Cargo bike with the pragmatic name “Kurzes Lastenrad” (german for “short cargobike”). 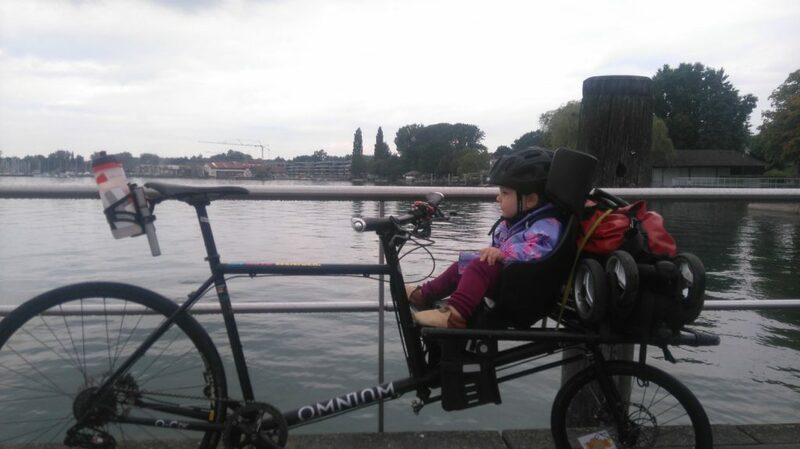 A friend already rode the protoype of the bike cross the alps and was pleased by the very good touring abilities of this cargo bike. Patria will offer the bike without engine and with shimano steps. Another Bike which I liked was the Packster by Riese und Müller: For 2017 they brought this younger cargo bike on the market, that focuses on its purpose: carrying stuff. 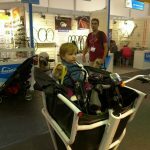 It comes in two sizes (60cm and 80cm cargo rack) and they offer different boxes, a bench add-on for kids and an (open) canopy. 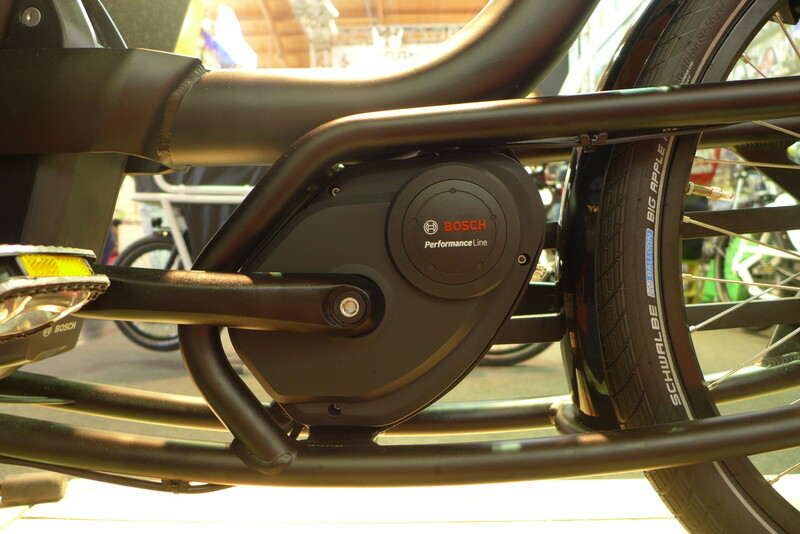 It goes without saying that this bike comes with the Bosch Performance CX, offering plenty of torque. 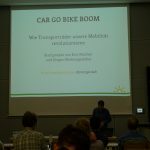 2017 ist gonna be another beautiful cargoBikeBoom year: this summary is by far only a tiny overview. Still there are more beautiful Companies out there providing unspoken bikes, some of which could be spotted all around the show. 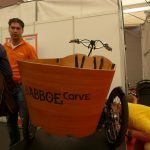 Omnium, LarryVsHarry, Butchers and Bicycles, Cargobikemonkeys, Veleon, Pedalpower, Bafiets.nl, UrbanWheelzcargo and many more will keep on creating bikes to make sure that #carIsOver. 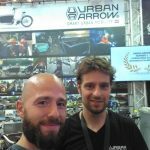 The picture of the girl in the urban arrow shorty, what’s that seat called where she’s in? 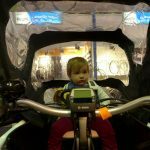 I also have a shorty but I can’t find that seat for my son (1 years old)! I hope you can help. 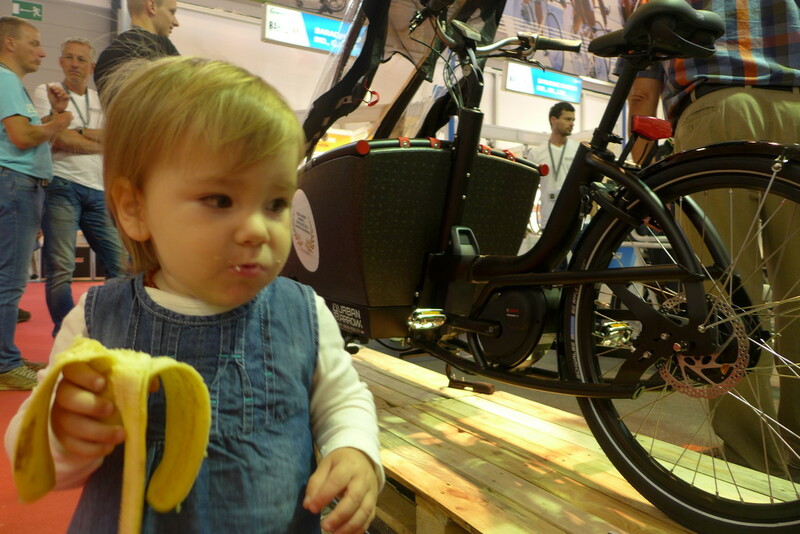 Did you ride your Cargobike with Annouk all the way from Augsburg to Lindau or does the DB take it in their bike cars? 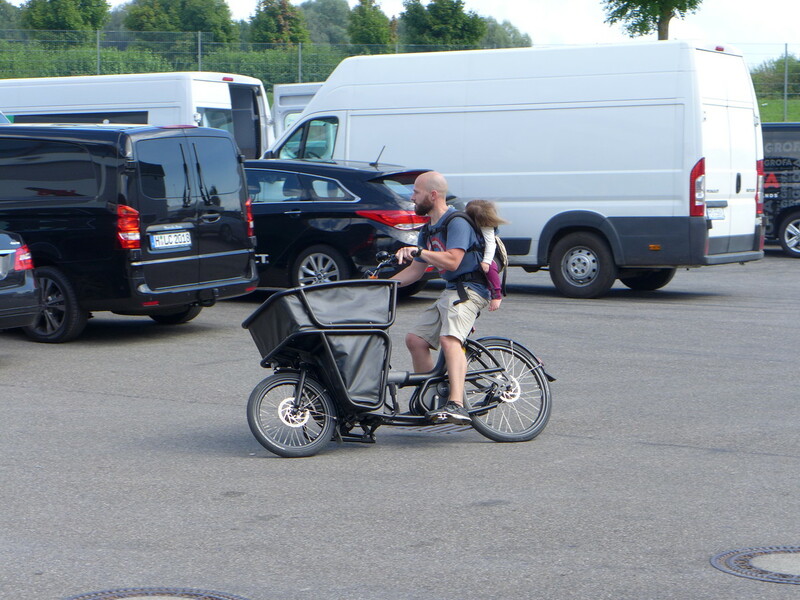 Tried to find out from the “bike hotline” @ the DB, but he hadno clue…. I actually took the train to Lindau as she was about 2,5 years old at that time. 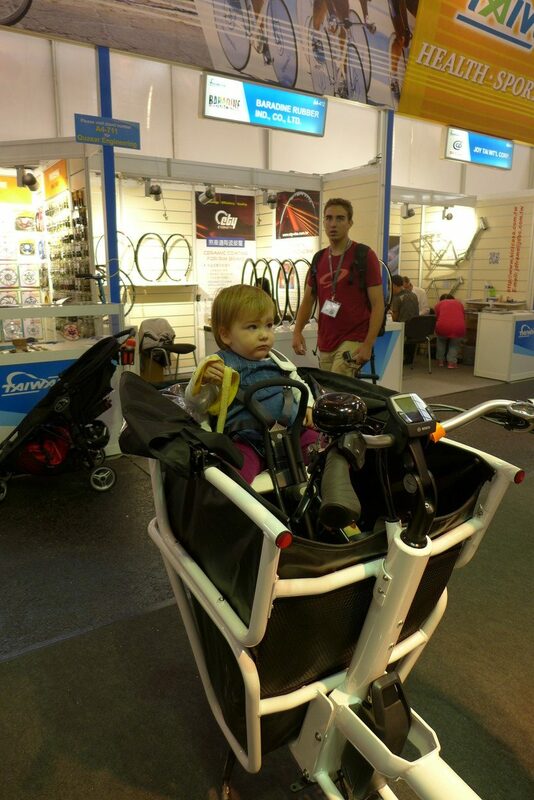 A 165km bike-ride might have been a little tough for her. 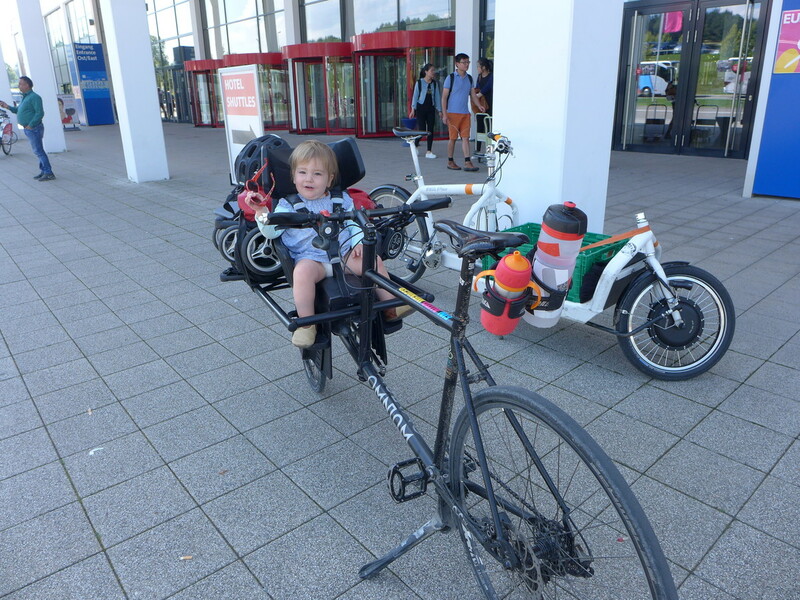 We took both, the Omnium and the UrbanArrow on holidays in Holland in 2014: We took a night-train which equals to the InterCity trains. 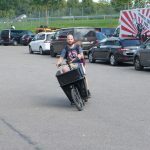 You just need to reserve for the bike and maybe have to get two tickets for the bike. 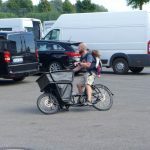 The terms of transportation of the DB don’t take cargo bikes into account, but they mention tandems. 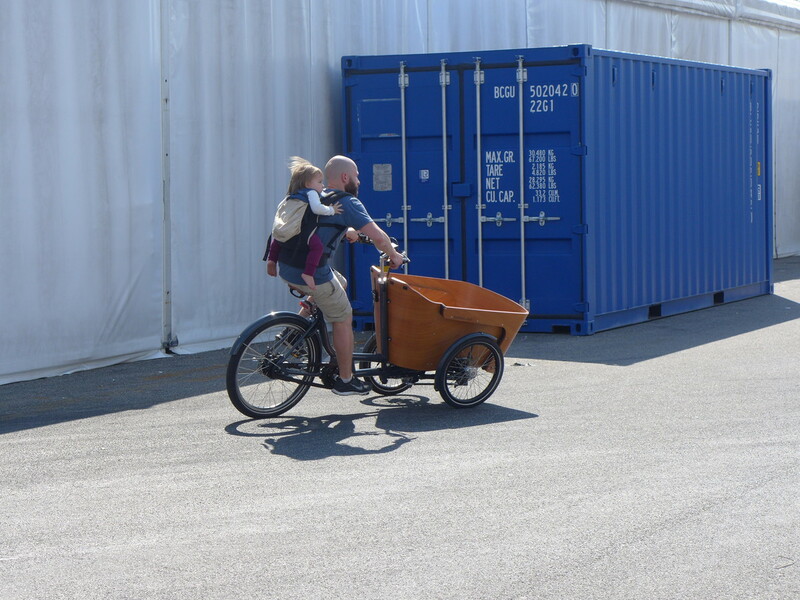 I’d apply the rules for those on cargo bikes when talking to the conductor, in case of an argument. 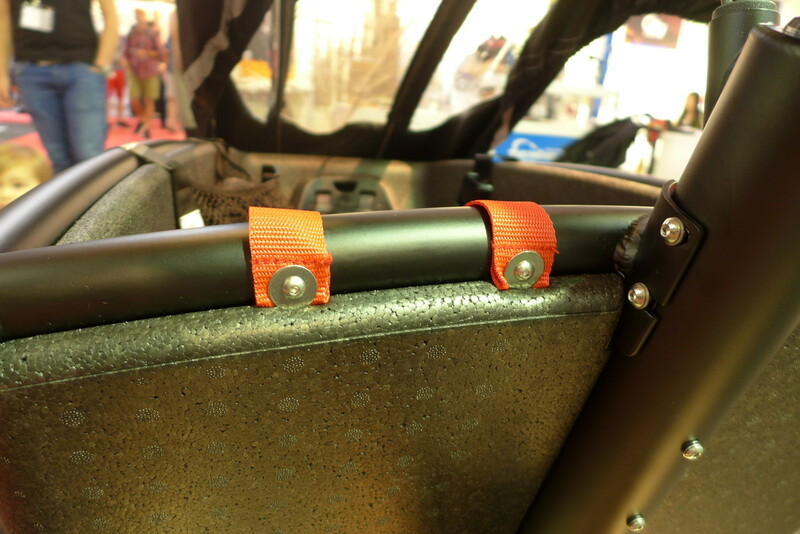 TIP: try to get information which kind of bike-compartment the trains you’re using are having. 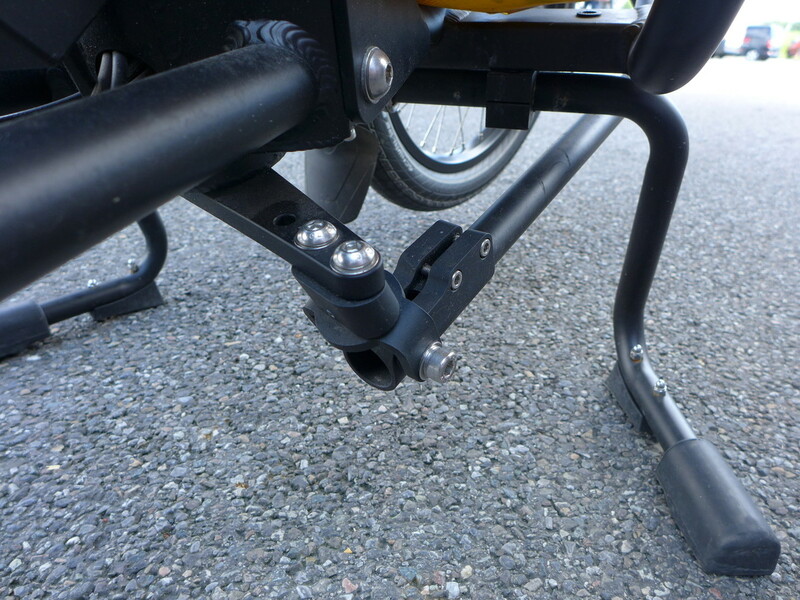 They are very different in space and it will get hard to get the bike in, if it is a so called wheel-chair compartment.